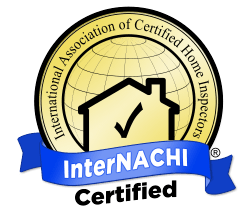 In an ongoing effort to make the “Home Inspection” process as smooth as possible for you, the consumer, I am now a “Certified Member” of the International Association of Certified Home Inspectors (InterNACHI). Joining this organization will help improve the Home Inspection process. Also continuing to educate myself will make me a better inspector. For more information, please see InterNACHI “Standard of Practice” and “Code of Ethics”.